Montana Brew Bar is a cafe that I surprisingly visited three times within 3 weeks! 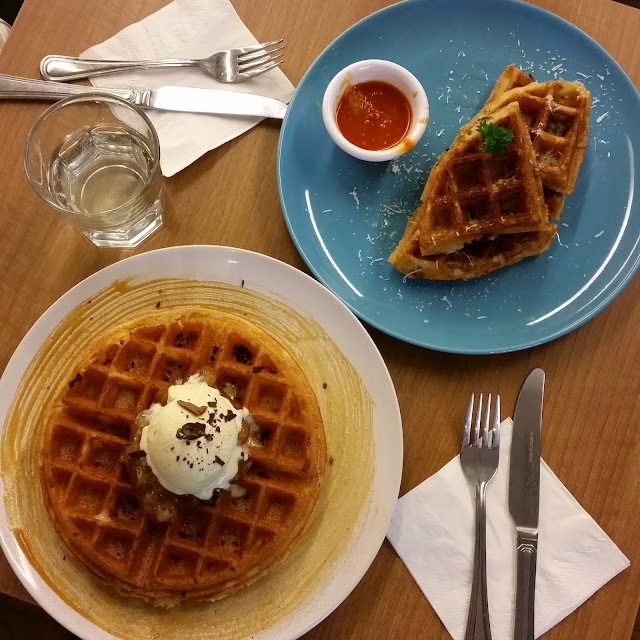 I first heard about it within their first few days of opening, and curious about their waffles, I decided to go down with my friends. 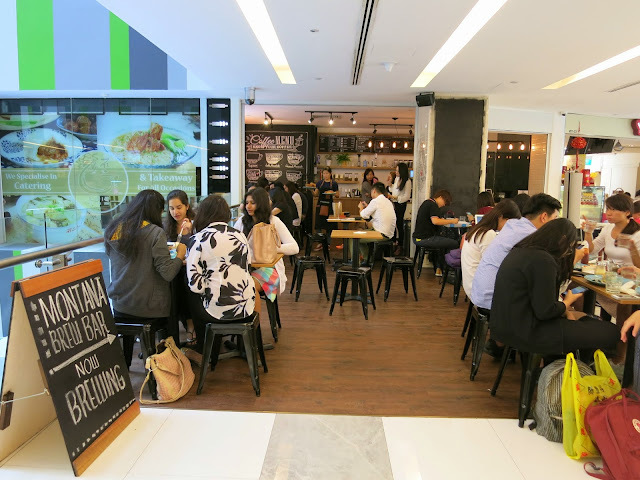 This was the crowd on a weekday lunch hour, which I think is not bad for a newly opened cafe. 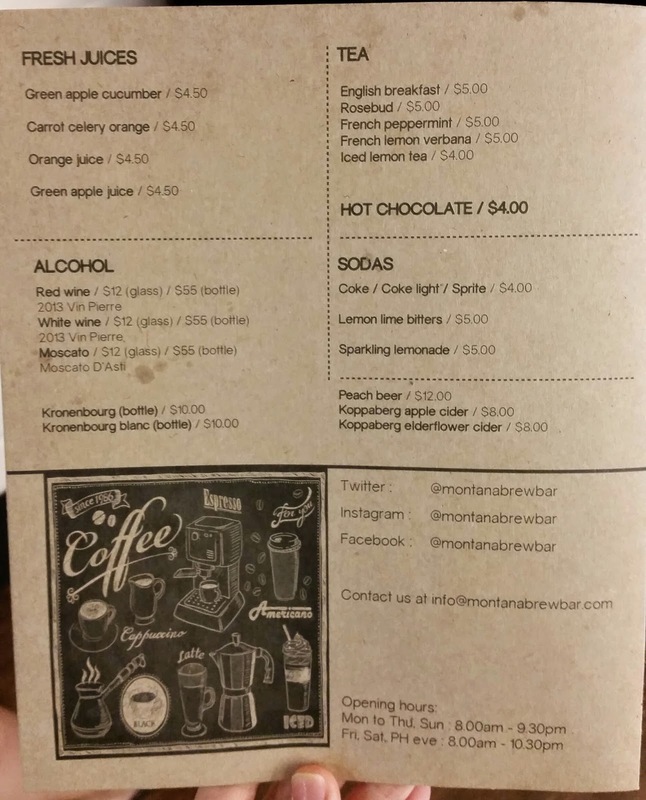 This is the menu they had in their first week of opening. By now they have updated it probably 3 times? From what I know, under the waffles section, they have taken out Waffles Suzette and increased the prices a bit. Apologies for the not-so-updated menu! J ordered a salad and it was quite nice. 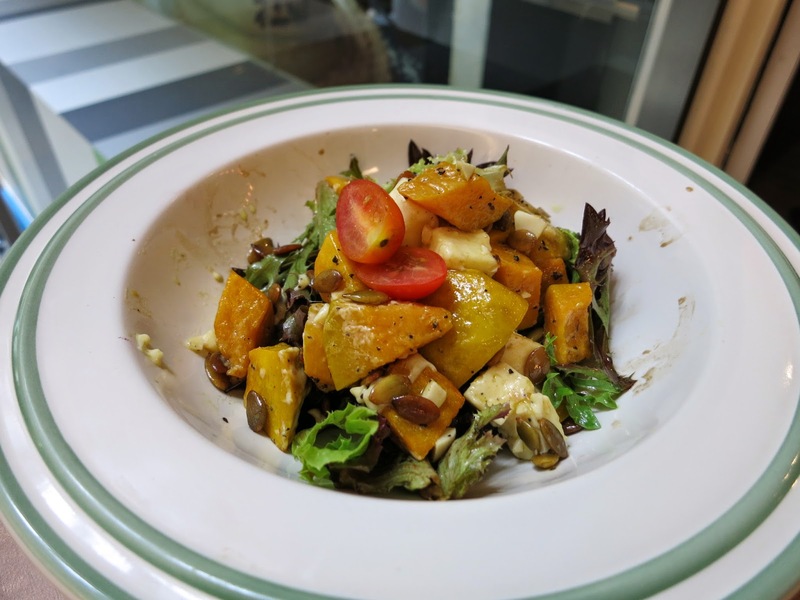 Dressing was light and tangy and pumpkins were delicious! This was what drew me here. 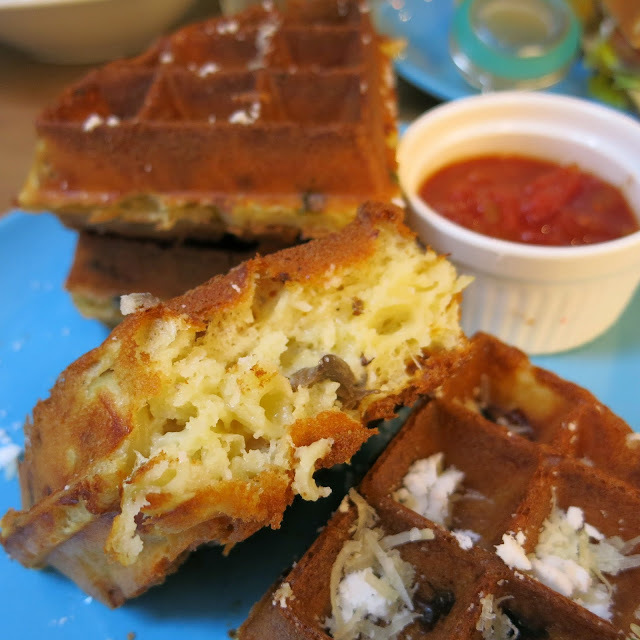 Mac and Cheese waffles? Say whaaaat? Haha I was very curious to taste how this is like! What is admirable about Montana is that they take feedback very seriously. Many customers have commented on this dish, and like me, they preferred more cheese in the waffles. Hence, they have tweaked this dish not once, but twice! 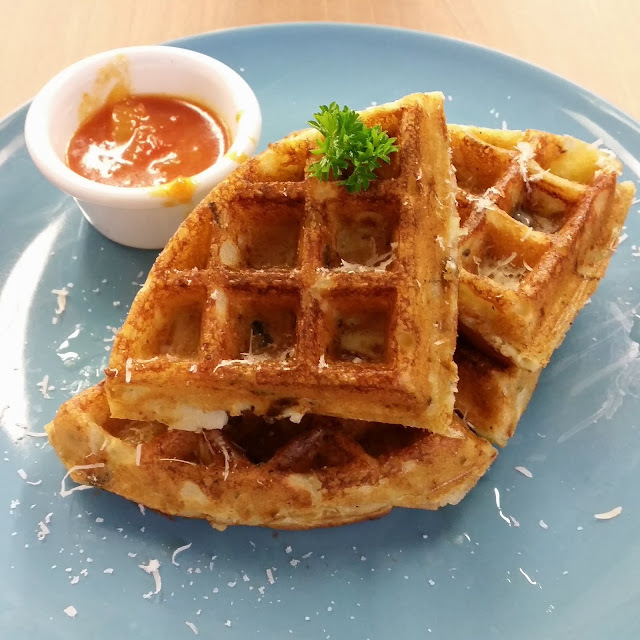 I heard that there is now a Truffle Mac and Cheese Waffles V2.5! Hahaha. 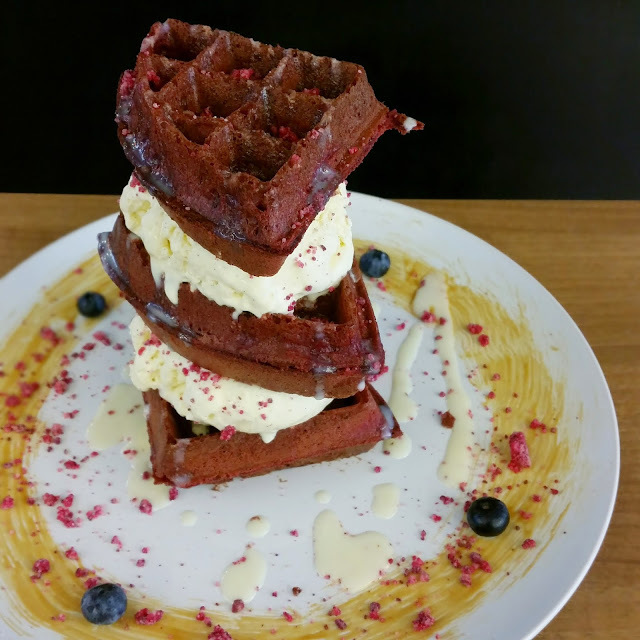 Lo and behold, the Red Velvet Waffle Stack! What a pretty and presentable dish! 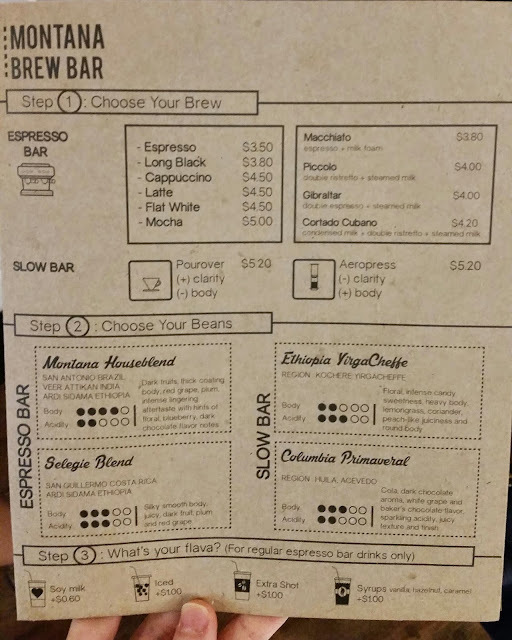 I tried this on my second visit. 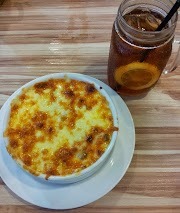 It's limited in portions every day, hence if you'd like to try it, do come earlier as it'll be sold out by mid-afternoon! 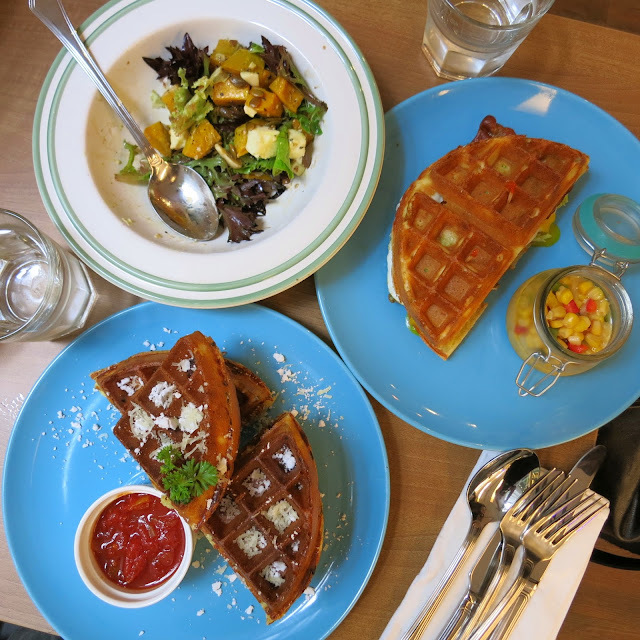 I was quite happy when I saw the tall stack of waffles! Haha. 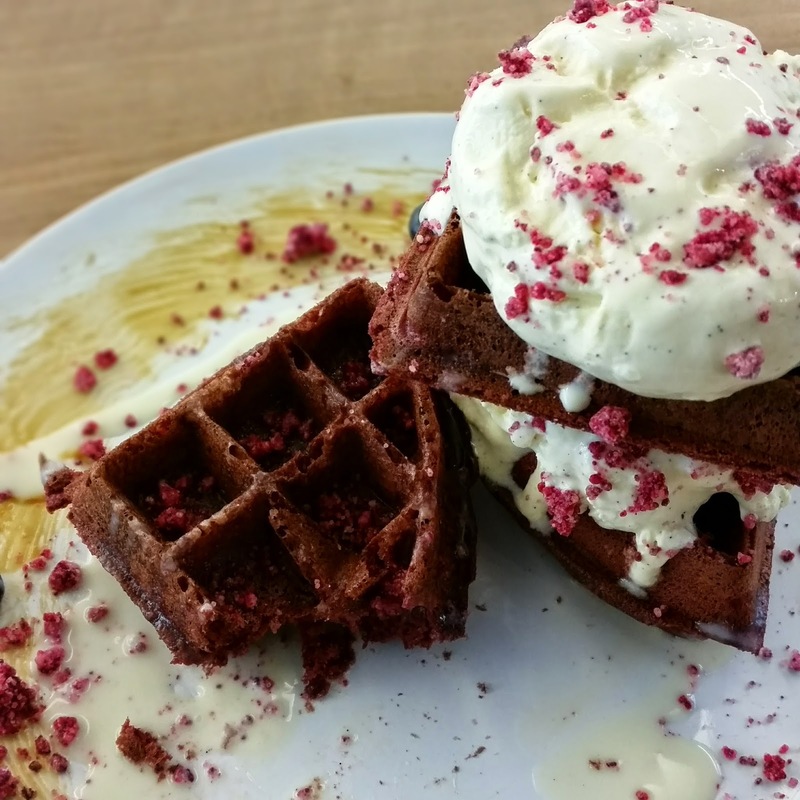 This dish comes with vanilla ice cream, red velvet crumble and white chocolate rose sauce. 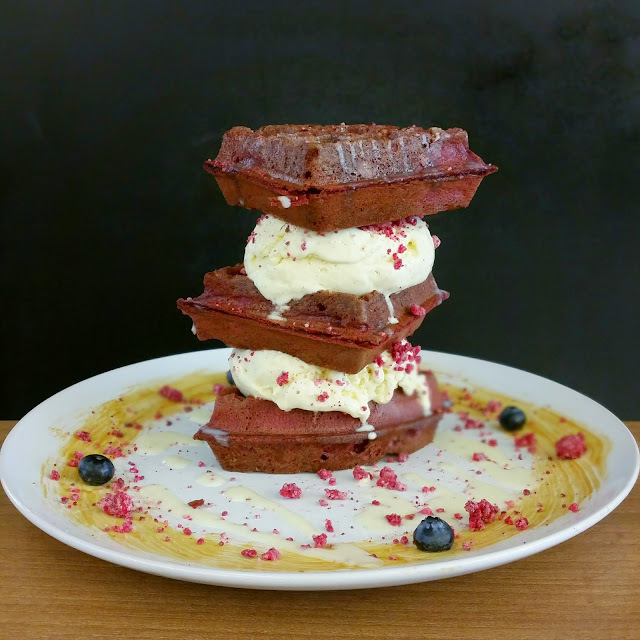 I'm not good at red velvet, so I can't really comment well. But I tried this because it sounds unique and I've heard good reviews of it. I tasted a bandung taste, possibly because of the white rose sauce. Hmm I would prefer a bit more red velvet taste. 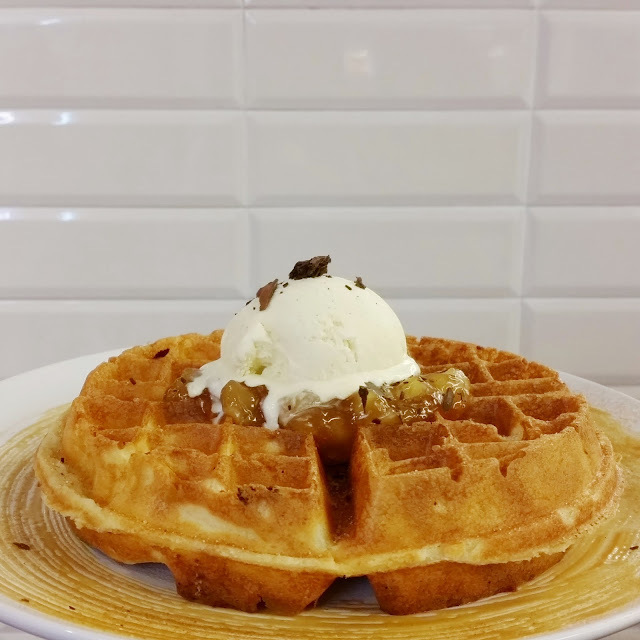 The two scoops of ice cream were a good ratio to the three pieces of waffles. 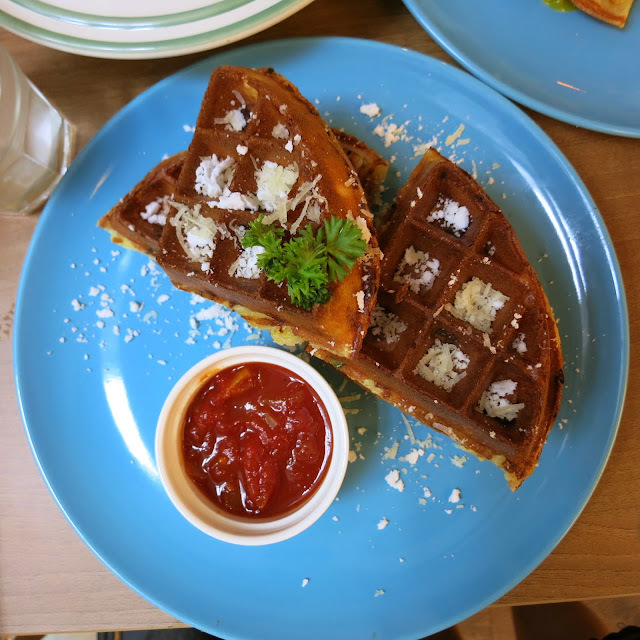 On my third visit, my friend tried the above waffles, apparently after they modified it and made it cheesier. When I tasted a bite, I felt the change wasn't that significant? The difference that stood out more to me here was the price actually. 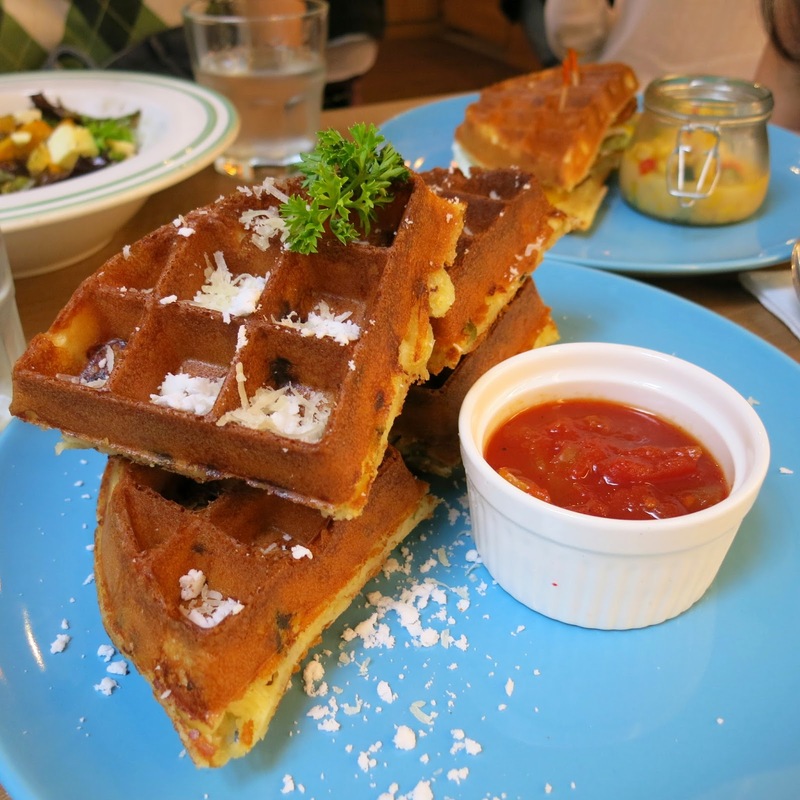 I gave this a go and I find it one of the best waffles they have! The cinnamon apple pie filling was done very well and it indeed felt like an apple pie! The vanilla ice cream was topped with chocolate shavings. 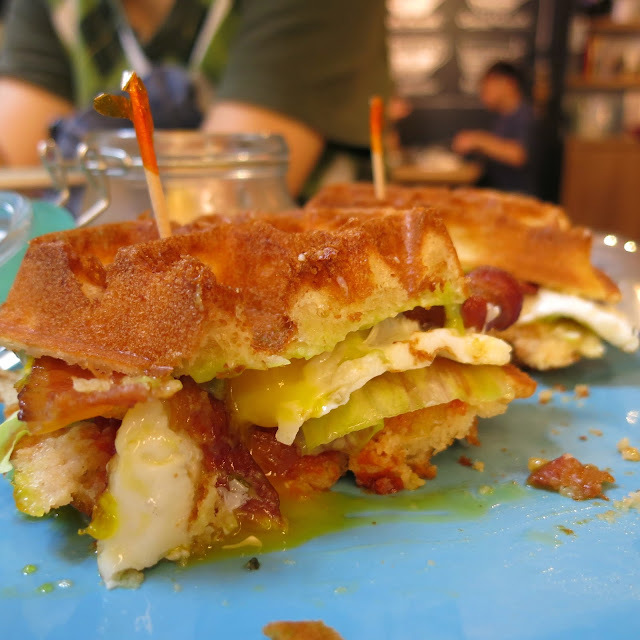 Waffle was light and crispy as usual. Oh yes, speaking of which, on this visit they had just started allowing customers to choose the kind of base they want for the sweet waffles. 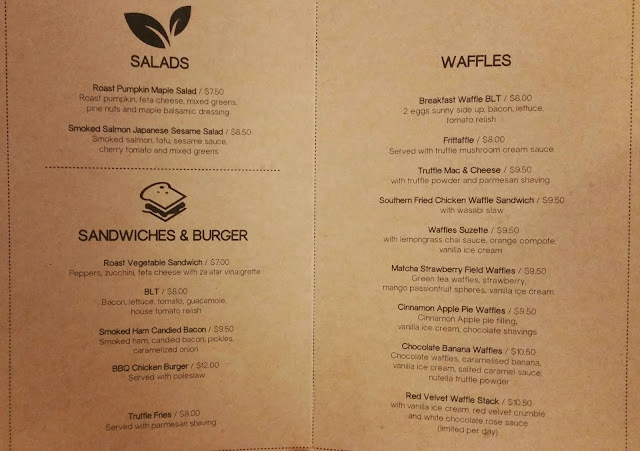 They have the souffle kind which is light and I suppose something like buttermilk? 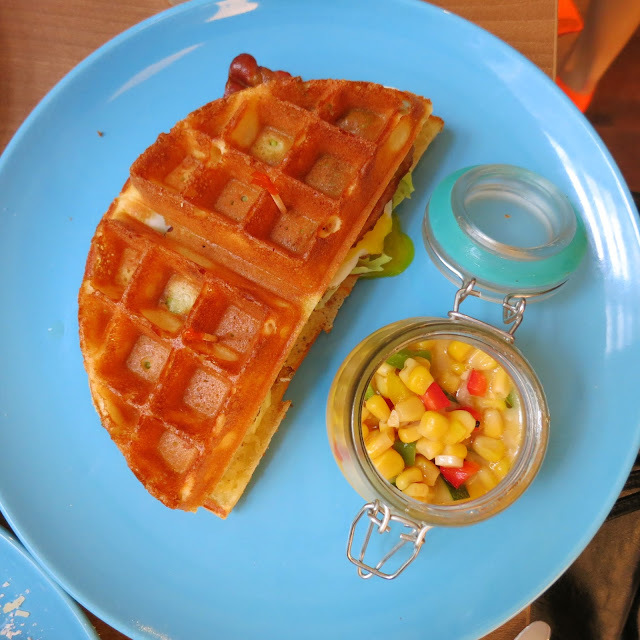 And the other choice is the crispy one, which I opted for this waffles. I felt really satisfied eating this waffles, but perhaps they could give more apple pie filling. 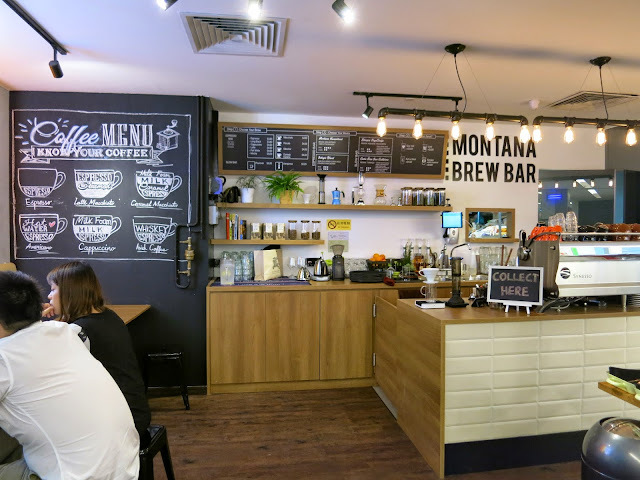 Montana Brew Bar really impressed me with its very delicious food and affordable prices. 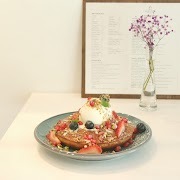 I'll definitely be back because I want to try their Matcha waffles! Coming from a non-matcha fan like me, I think that says a lot. Haha. 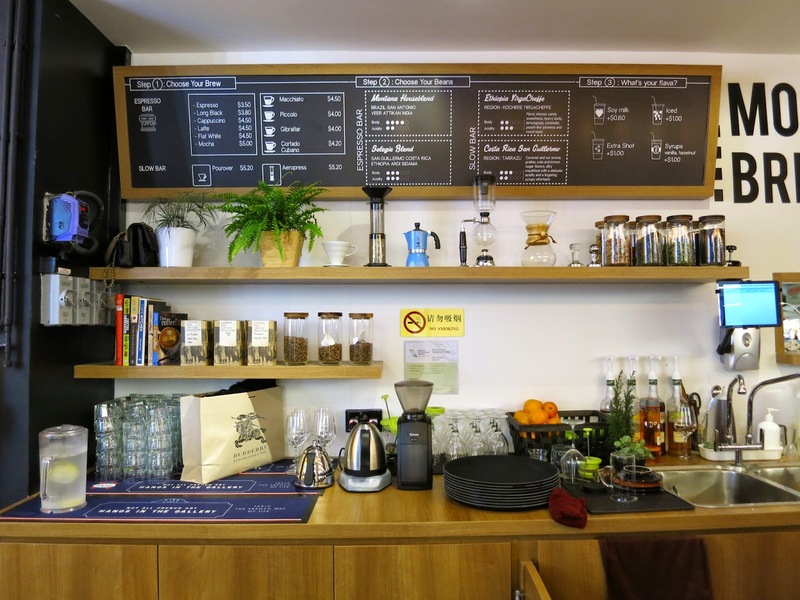 Given its prime location in Dhoby Ghaut/Selegie area, this place looks set to thrive.